For high school students who are interested in learning more about the legislative process there is a great opportunity I would recommend to you. The Clerk of the Legislature’s Office coordinates a four-day legislative simulation each summer that offers high school students a hands-on opportunity to experience the legislative process. 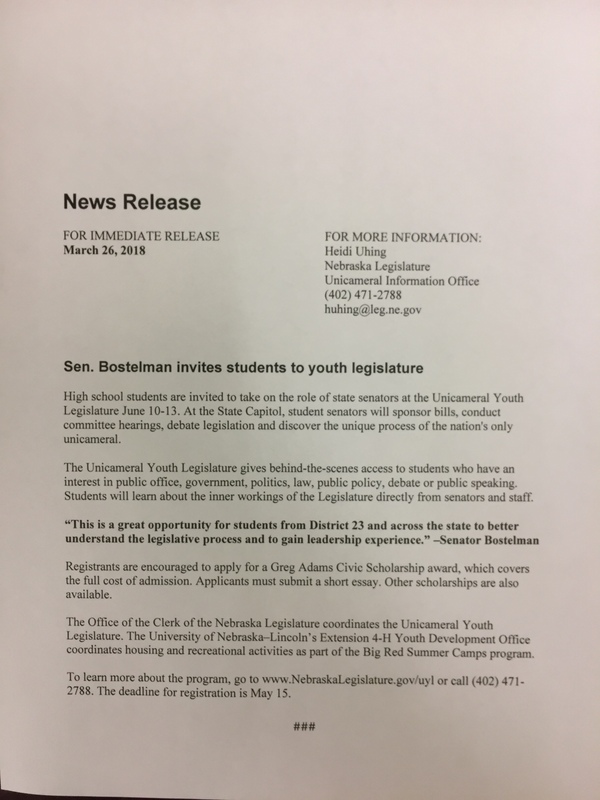 The Unicameral Youth Legislature is scheduled for June 10-13 and the registration deadline is May 15th. 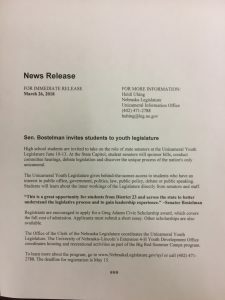 For more information go to https://nebraskalegislature.gov/education/unicamyouth.php.